Unified Modeling Language (UML) is a general-purpose notation language for specifying and visualizing complex software, especially large, object-oriented projects. Object-oriented programming is when a programmer defines not only the data type of a data structure, but also the types of operations/functions that can be applied to the data structure. 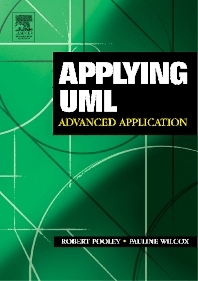 Applying UML addresses the practical issues faced by users in adopting UML. As the title suggests, it helps the reader in actually applying UML to real life situations, rather than just in learning the language. The book covers in depth detail of UML, including notation on profiles and extensions. The scope of the book assumes prior experience in software engineering and/or business modeling, an understanding of object-oriented concepts and a basic knowledge of UML. Advanced undergraduate and postgraduate students in computer science, software engineering, information systems, management science and business information technology courses, as well as professionals using advanced UML in industry.